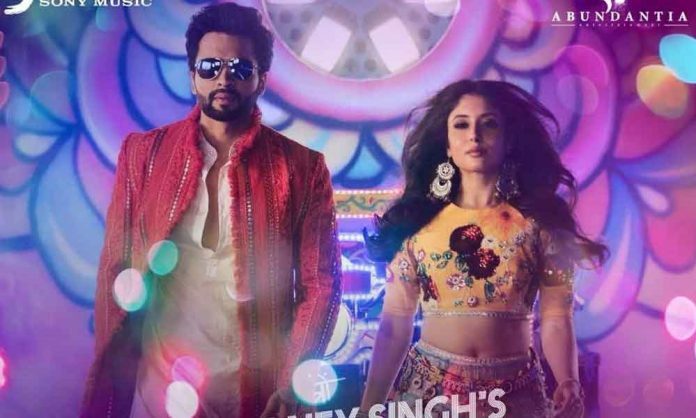 If there is one that has taught us how to end the party, then it has to be Jackky Bhagnani. For his movie, FALTU he teamed up with Hard Kaur to give us the very memorable Char Baj Gaye Lekin Party Abhi Baaki Hai. It has been seven years since the song released and it has been the party finisher song even now. When any happening party is coming to an end, this is one song that just has to be played to signal that the party is formally over and we can continue the party informally outside of the venue. Jackky is now back, and this time with Honey Singh to give us the Anti-Party Anthem Song and it is every bit peppy as the last song. The song is all about celebrating the spirit of friendship and partying hard even if there is no alcohol. Adding to the mix is the sizzling chemistry that we see between Kritka Kamra and Jackky Bhagnani. Catch the song here and get on the crazy Mocktail vibe and we are sure will not stop grooving to this once you start.